Sometimes soil is too acidic or alkaline and must be amended to support certain plants. Some folks pay a lab to find out their soil pH, but you can get a rough idea on your own with household cleaning supplies. 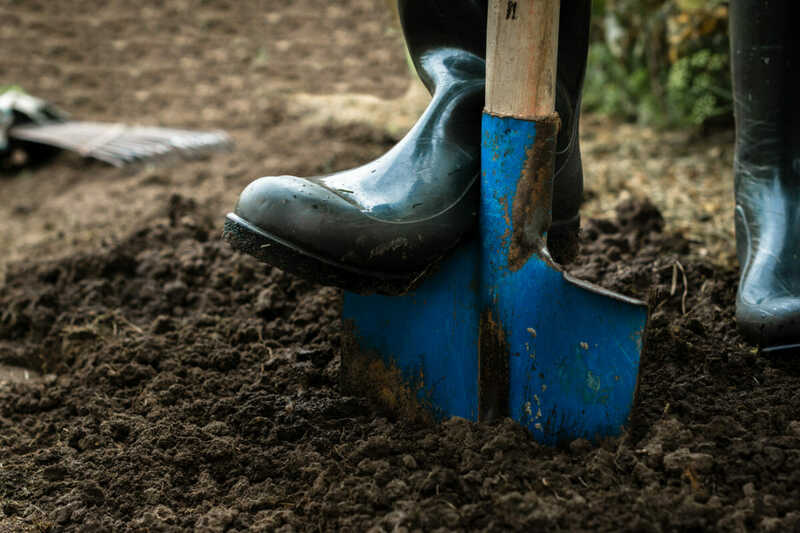 Mix a handful of soil with water to make a clump of mud and pour white vinegar on it; if it fizzes, it’s alkaline (pH above 7). If it does nothing, make a fresh clump of mud and add baking soda; if it bubbles, it’s acidic (pH below 7). If it still does nothing, it’s neutral (ph of 7). Instead of using those disposable plastic cell-packs to start seeds in spring, simply save up your egg cartons (you can cut off the lids and discard). The egg-shaped depressions are just the right size for seedlings – fill them with potting soil or seed mix and plant. Water sparingly; the cardboard will absorb the moisture and keep the soil from drying out too quickly. One advantage of drinking a lot of wine is you’ll have all the materials you need to keep your garden irrigated when you go away on summer vacation – without investing in one of those costly, complicated irrigation systems. Simply drill a small hole in the cap or cork, fill the bottle with water and stick it upside down in the soil. The water will leak out very slowly over the course of several days to a week. Plan on about one bottle per square foot of soil. Grow more plants on your patio or balcony with less space by upcycling an old ladder. It’s easy: place planks horizontally across each set of rungs. You want the planks to extend a foot or so out from the rungs on either side, so cut them and position them accordingly. You can orient one side off the ladder toward the south for sun-loving plants and the other toward the north for shade-lovers. What is a cloche, you say? It’s an old French term for bell-shaped glass enclosures placed over single plants to protect them from cold weather, which was popular among the aristocracy in Victorian times (the word translates literally as “bell”). You can make your own version with any large jar or bottle, whether glass or plastic, as long as it’s clear. Or use a clear plastic tote to make a mini-greenhouse over multiple plants in spring, so they don’t get nipped by late frosts.